Link and his Belgian horse Epona from The Legend of Zelda: Ocarina of Time are featured on this Legend of Zelda: Ocarina of Time Link on Epona 16 oz. Mug. 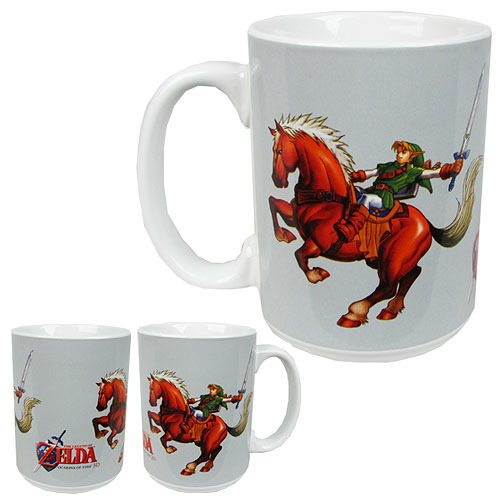 The mug features a white backdrop and shows Link riding Epona with sword in hand. The Zelda mug can hold up to 16 ounces of liquid.